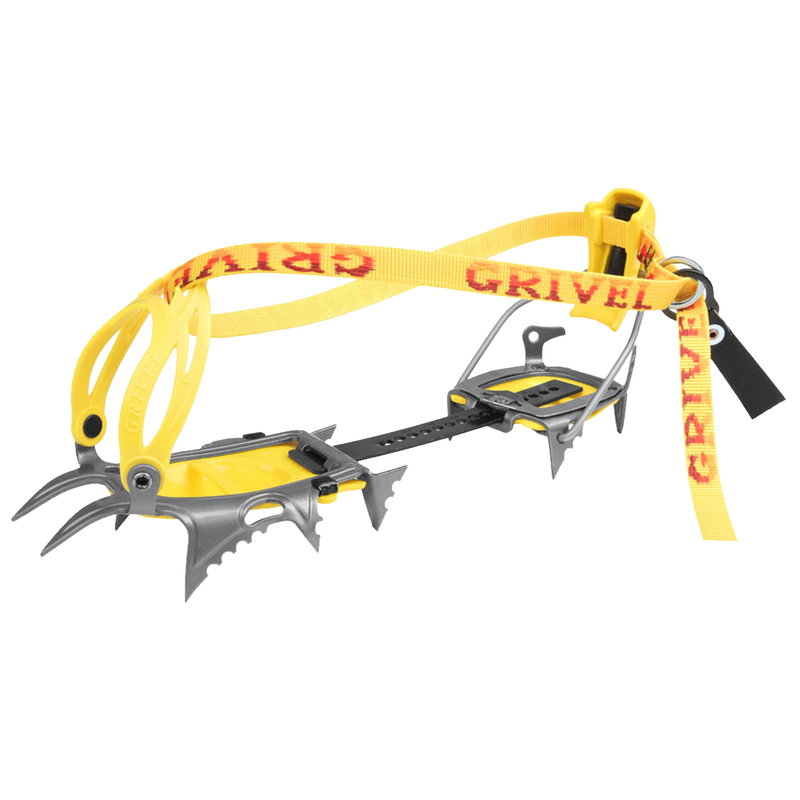 The Grivel Air Tech New-Matic is a C2 crampon designed for the "mixed modern" alternating between ice and rock. The Grivel Air Tech New-Matic features 12 hot-forged chromoly steel crampon points, ten of which come into contact with the ice whilst glacial walking, whilst all 12 bite into the slope during the traverses. Grivel have achieved this by making the third pair of points shorter and wider apart. Also the last two front points use a double angulation to maintain bite when descending or traversing sideways, and sharp points are ideal for anchoring on ice “cauliflowers” and when in traction or adherence. An all-season crampon with lightness and compactness. A low alloy steel that has a higher tensile strength and is considerably stronger and more durable than standard steel. Hot-forged construction not only makes the metal stronger, but also lighter. Evolution of the Cramp-O-Matic system, but far more versatile than the original COM style: the harness is made from the strongest, most durable plastic available, Zytel DuPont; the crampon is made in dual-component plastic - the black part is stronger to bear the strain while the yellow part is softer to increase adherence to the boot; and the plastic harness system is hinged from two front posts which retain the boot securely even if it has a shallow, worn front welt.